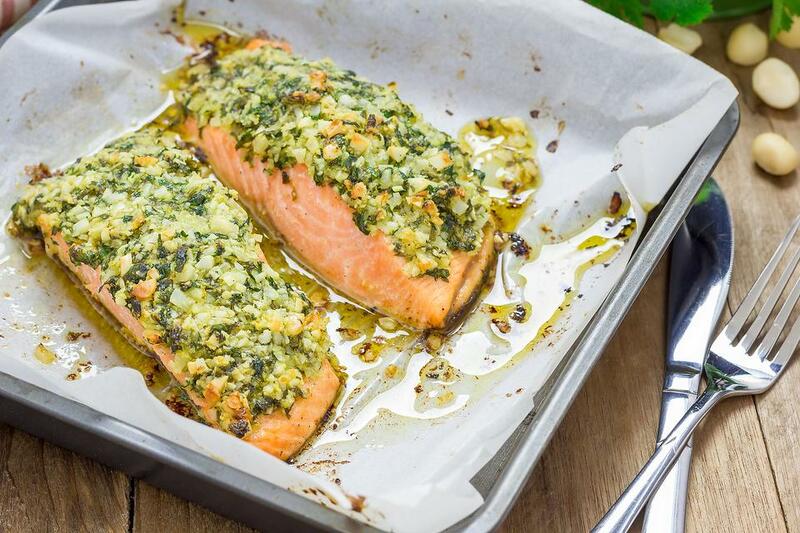 This pistachio-crusted salmon recipe is the perfect weeknight meal. And it's ready in less than 30 minutes (seriously)! Mix together the lemon juice and mustard. Place salmon skin-side down on a large baking sheet. Spread mustard mixture on top of salmon and sprinkle with salt and pepper. In a food processor, blend the pistachios and breadcrumbs. Slowly add in the oil. Blend until the entire mixture is wet. Cover the salmon with an even layer of the pistachio spread. Bake for 15-20 minutes in a preheated 375-degree F oven. 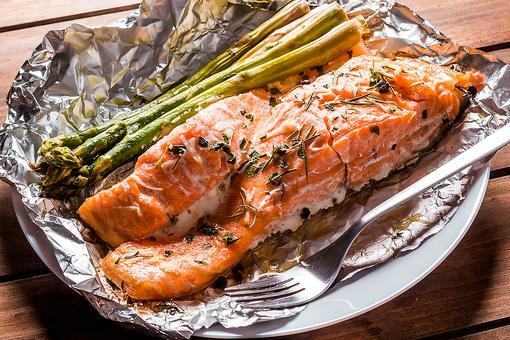 Cooking time will depend on how you like your salmon cooked (I like mine medium rare). Keep in mind that once you take the fish out it continues to cook, so let it rest for a few minutes. This looks incredible, Erica Kane! I'm starving, of course, so I want to make this NOW! it looks like an interesting mix, one I've seen or thought of! love salmon and pistachios though, so I don't think I can go wrong with this! We buy salmon weekly, always looking for fun and different ways to eat it. Yey! 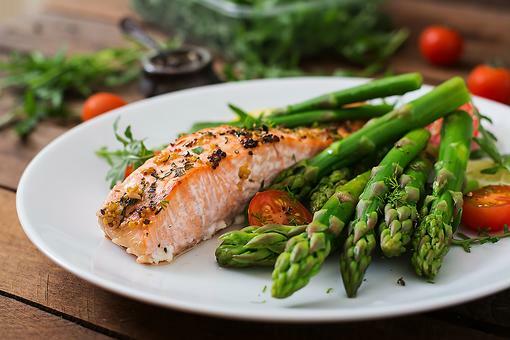 Food for Lent: Pistachio-Crusted Salmon Is Ready in Less Than 30 Minutes!